As is to be expected this weekend with San Diego Comic-Con upon us, plenty of movies are out there trying to gain your attention wit new clips and news popping up all over the place. One of those new items that popped up today was a special recruitment video for the film version of Ender’s Game. The video has mostly footage that we’ve seen from earlier previews, but also has a link to a couple of sites that give you more info on the film. One of the sites is the International Fleet’s Battle School Aptitude Test. 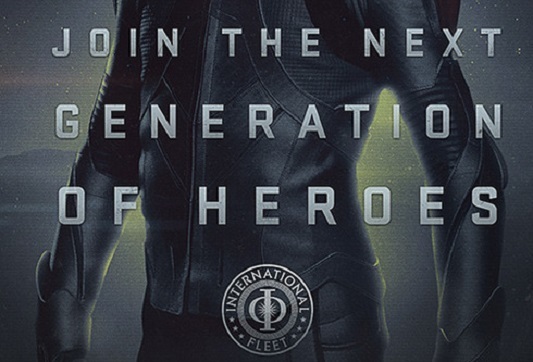 The other site is the International Fleet Sentinel, which is just the official site for the movie. Check out this clip here below now and come back later this week once we’ve seen the panel for Ender’s Game at this year’s San Diego Comic-Con. Be sure to follow Geeks of Doom’s Comic-Con coverage here at the site and through our Facebook and Twitter.